Market will be open from 9 a.m. to 1 p.m. No patrons allowed inside the Market before 9 a.m.
Food trucks and other food vendors will be located just outside the entrance in the parking lot. 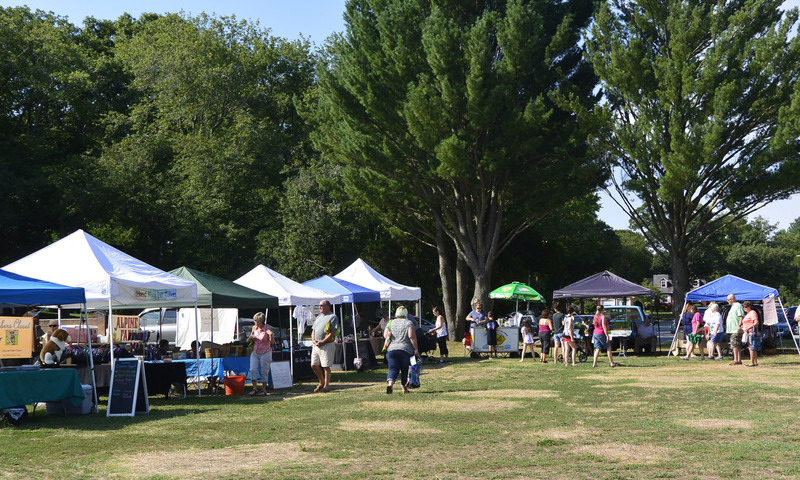 The Attleboro Farmers Market is at O’Connell Field in Capron Park from 9 a.m to 1 p.m. on Saturdays beginning June 15 through October 19. See dates below for any weekly information. Please, for your safety, no patrons inside the Market before 9 a.m. Rain or shine the Market will be open. Here’s our Weather Guidelines for when the weather starts acting up. Dogs can bring their responsible owners. Attleboro has a city ordinance for dog owners. All dogs must be restrained with a leash at all times and dog owners must pick up their dog’s poop. Water dishes are available at the Market Manager’s tent and a few of our vendors. Parking is available in the Attleboro High School Bushee Street lot and on Blue Pride Way (Bus entrance loop off Rathbun Willard Drive). Click HERE for map. Harvest Calendar: Use this calendar to help you know when the freshest fruits, vegetables, and meats are at the Attleboro Farmers Market.